It took Grip Inc. five years to release their fourth CD titled Incorporated. The opener Curse (Of The Cloth), a very fast and brutal song which reminds me very much of early Slayer, proves that it was well worth waiting all this time. I think it's unnecessary to mention that Grip Inc.'s drummer is ex(? )-Slayer drummer Dave Lombardo who again does a great job and is still one of the most impressive metal drummers. Responsible for the great songwriting is Waldemar Sorychta, who started his career as Despair guitar player. Third member of the band is Gus Chambers who has a punk past (The Squad). He convinces on the entire album as a tough shouter who also tries to find here and there some more melodic lines. Never before have I heard Grip Inc. playing in such a diverse way, this album has the potential to become a milestone in their career. Grip Inc. are not afraid of using more contemporary elements in their music. 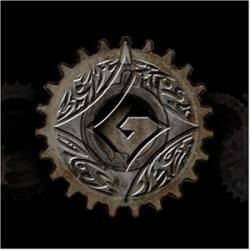 The Answer is a groovy modern metal track and Prophecy brings the band close to industrial music. Half of the album are quite fast songs played at the highest technical level. But especially more at the end, the CD becomes darker and more sinister, and the songs get enriched by strange effects. Compositions, arrangements and production sound just right on this album, probably the best ever done by this great metal band.